Balancing treatment shampoo for all hair types – SLS free. 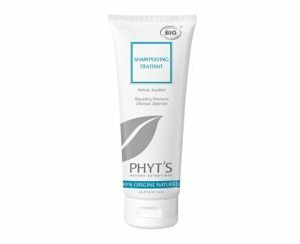 Sodium Lauryl Sulphate free shampoo with invigorating scents and herbal extracts to revitalise your hair and scalp. Gives shine and natural structure back to the hair. Helps maintain the bio-balance of the hair cells and scalp, balancing all hair types. Ingredients include cypress, bitter orange, niaouli, lavender, pine, juniper, sage, blackcurrant, clove.